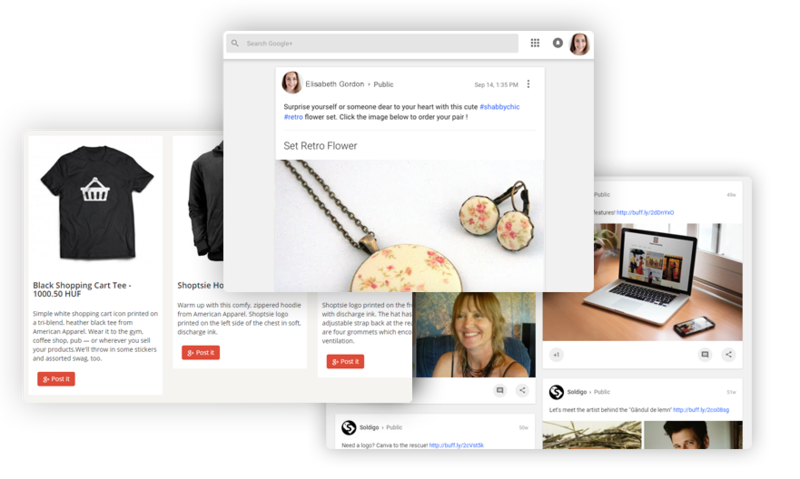 Transform your Google Plus profile and your communities into automates sales funnel. 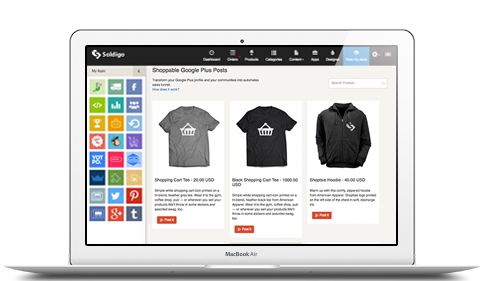 For every products on your store, Soldigo automatically creates an optimized post which includes the product photo, price, description and the most relevant hashtags created from the product keywords. 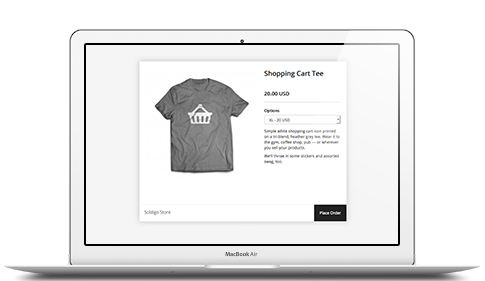 When your Google Plus follower and fellow community member clicks on one of your Shoppable Google Plus Posts will be automatically redirected to the checkout page to finalize the purchase.